The iconic south coast surf town of Middleton, with its big wide beach and rolling waves, is a favourite amongst Adelaide holiday makers. The town of Middleton, has a popular bakery, a large pub, a general store and some other shops and services. Just 7 minutes to Goolwa and 5 minutes to Pt Elliot, Middleton is centrally located to the many attractions that the southern Fleurieu has to offer. 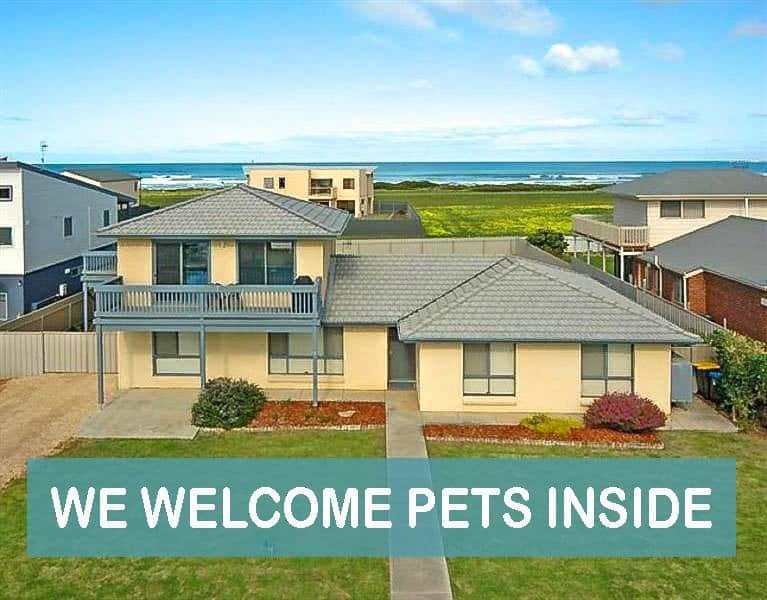 We have been searching for a pet friendly Middleton house for some time, and we are thrilled to have finally found one that is just 100M to the beach and with great views! Copyright 2015 © PetLet. All rights reserved.